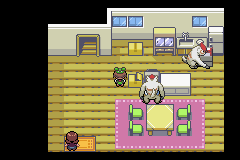 Pokémon Emerald (ポケットモンスター　エメラルド) was the final third generation Pokémon for the Nintendo Game Boy Advance. The game was first released in Japan on September 16th, 2004 for 3,800yen and 4,800yen with the Wireless adaptor. 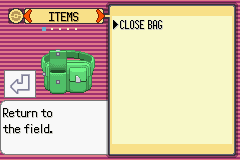 Pokémon not available in Emerald and must be traded from another 3rd Generation game. The Nintendo DS launched on November 21st, 2004 a few months after the release of Pokémon Emerald which was released on the Game Boy Advance but the game still showed that the older handheld system could still sell games. Fortunately for Nintendo DS owners, players could transfer Pokémon from any of the Game Boy Advance games into future DS Pokémon games such as Pokémon Diamond and Pearl which were released 2 years later. 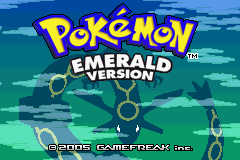 Pokémon Emerald is one of the highest selling games for the Game Boy Advance. 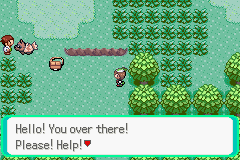 Pokémon Emerald Version takes Trainers back to the land of Hoenn for an expanded adventure but this time players had to face both Team Magma and Team Aqua. 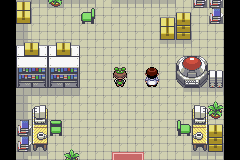 Pokémon Emerald also features an even more exciting storyline featuring the Legendary Rayquaza and the chance to catch more Legendary Pokémon like Latios and Latias! 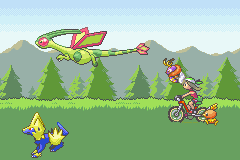 Pokémon Emerald introduced the first Battle Frontier in the Hoenn region. 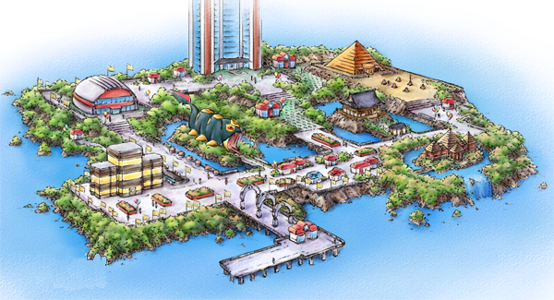 The Battle Frontier is an amusement park for Trainers where with players face the intimidating Frontier Brains. 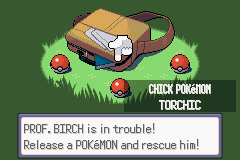 The Pokémon in the games can only be found in specific locations and some of them are harder to find and obtain than others. The Pokémon locations are also different between the games as players will have to search harder between games to find the Pokémon they are looking for. On the right is a list of version exclusive Pokémon. 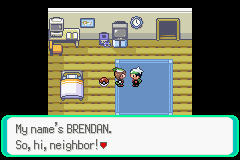 Pokémon Emerald cannot transfer Pokémon directly into the Generation IV games. 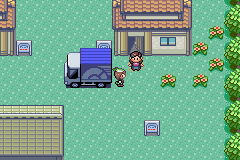 Players are required to permanently transfer them to Pal Park in the Generation IV games. Use the Game Boy Advance Game Link Cable or the Wireless Adapter and trade Pokémon with your friends or test your skills against them in a Pokémon battle. 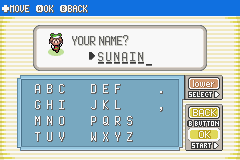 Battle, collect and train upto 386 different Pokémon. Play on the go or at home. 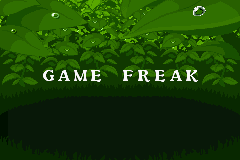 With the Game Boy Advance, players can play and collect Pokémon wherever they are. Battle against the Frontier Brains in the new Battle Frontier area. 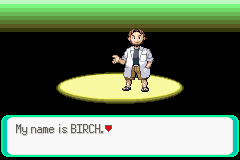 Connects with Pokemon Ruby, Sapphire, Colosseum, Fire Red and Leaf Green for total compatibility. This page has been viewed 14205 times.